Lol you'll never guess what crazy old Jose Mourinho has done this time! Jose Mourinho, king of the pranksters, pulled off his finest work today as he waited silently for his press officer to arrive before beginning a press conference! Described by the Daily Mirror as a "hilarious two minute long prank", Mourinho enters the room, informs the gathered journalists that he's waiting for Steve (the press officer) and then... LOLOLOL... he waits until he arrives!!!!!!!1!!!!!11!!!!!!!! You can't make this stuff up. The journalists in the room immediately burst into rapturous applause and full on laughter at the end of the 2 minute long video of nothing as Steve (oh you, Steve!) 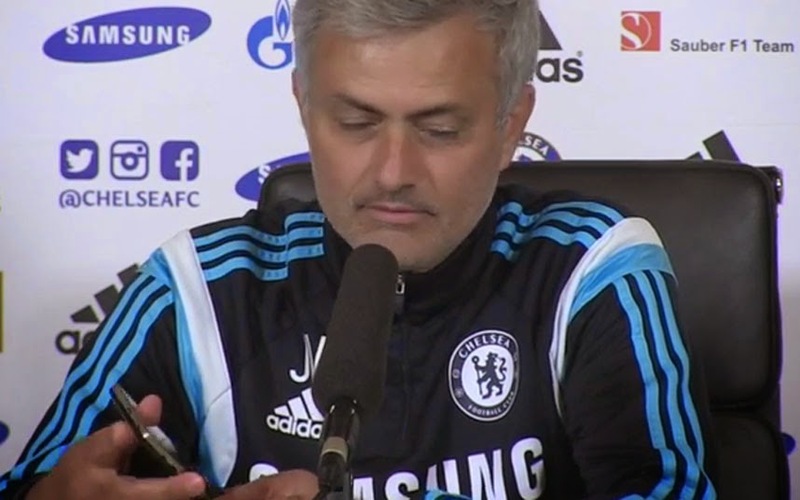 asks Mourinho if he's ready to start the press conference. Mourinho says yes and they begin! And that's something we all want to see.